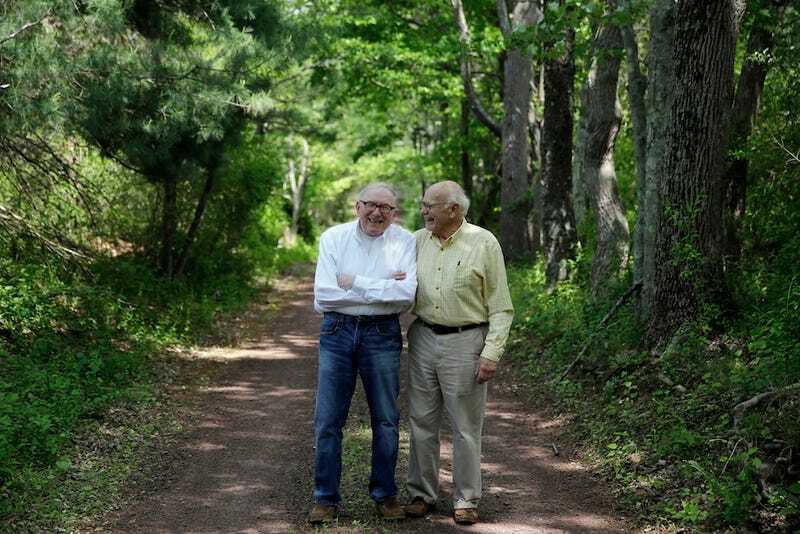 A gay couple who went through an adoption process in order to have certain legal rights were finally able to marry after being together for more than fifty years. While living in New York City in 1994, Norman MacArthur, 74, and Bill Novak, 76, were registered as domestic partners. In 2000, they moved to Erwinna, Pennsylvania, where domestic partnerships were not recognized. A lawyer told them there was one option to retain legal rights—adoption. An adoption would give the couple certain rights that would not be recognized otherwise, such as hospital visitations. “If we were legally related, I would be allowed into the ER and entitled to know what Bill’s condition was if anything should happen,” MacArthur told Yahoo Parenting. “I was the son and Bill was the father. Bill is two years older than I am, so that was the only reason,” he said while describing the process. Last year when a judge ruled that Pennsylvania’s gay marriage law was unconstitutional, the couple decided they wanted to get married. On May 14, they went to court to ask a judge to vacate their adoption so they could get hitched. “We had 30 friends in court to show that this case was out of the ordinary—though the judge knew that—and when the judge signed the order our friends burst into applause and I burst into tears,” MacArthur said. Congrats to the happy couple, and pardon me why I get a beach towel for my eyes since they’ve somehow started to sweat profusely. Image of the newlyweds via AP.